Thinking of an alternative? We take the risk! Catalytic Converters are emission control devices that are designed to last the life of the vehicle, do not normally require replacement without cause. A check engine light for catalytic efficiency does not by itself condemn a catalytic converter. There could be another reason or even more parts that have failed and do not necessarily require a catalytic converter replacement. Hence per example an oxygen sensor not functioning correctly. Your vehicle should be diagnosed properly before a catalytic converter is to be replaced. If you would like to schedule an appointment for a complete diagnosis click here. My car has a PO420! Does that mean my converter is bad? NO. The P0420 code, by definition reads “bank one Catalyst Efficiency low” as a result most people will just replace the converter. A vehicle displaying this code is indicating that something is causing the converter to operate out of specification. Furthermore, a diagnostic and certainly an inspection are required before condemning any parts as “bad” or defective. While you still may need a catalytic converter. FMS can perform a Catalytic Converter Pre-Test. The inspection is free with the purchase of needed components to correct the issue. Please make an appointment to drop the vehicle off for the complete inspection. How can I determine my cars emissions certification levels? All vehicles will come with a VECI (Vehicle Emission Control Information) label located in the engine compartment. How do I know that the catalytic converter I purchase is (CARB) California Air Resource Board approved? What is the Warranty on a Replacement CA Approved Catalytic Converter? Factory replacement converters from the dealer have a warranty for 1 year or 12,000 miles. Most noteworthy is cars have a 8 year 80,000 mile warranty on the OE converter the vehicle came with. If your car is within the 8/80 certainly call your dealership with your VIN number so they may assist you with the warranty information. Can I use a catalytic converter cleaner on my car? Yes, we suggest Cataclean by Mr Gasket. Cataclean contains solvents that can break down deposits formed by oxidation and polymerization of hydrocarbon in fuel delivery systems. Cataclean also includes acetone which is known to improve the efficiency of fuel combustion. Acetone has been used in race cars to enhance octane rating and make fuel burn more evenly and completely. When Cataclean combusts, carboxylic acids, aldehydes and active peroxy compounds are formed. These compounds in the exhaust vapors work to clean the surfaces inside the converter. The result is the removal of deposits from the surface of the core, which increases the catalyst’s ability to remove harmful exhaust emissions such as, carbon monoxide & nitrogen oxides. 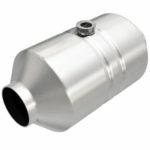 Can I use a Universal Catalytic Converter? First of all universal CA Approved Catalytic Converter are designed to be installed by a professional installer because they typically require some welding. 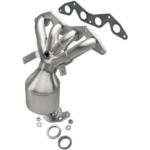 The Direct Fit catalytic converter is designed so you may unbolt the original and bolt back on the replacement. For that reason the Emission compliance of the converters will meet or exceed Fed or CARB standards. What is a High Flow catalytic converter? Most high flow catalytic converters flow higher than OE in flow capacity. The 400 CPI cell density of most high flow catalytic converters will out flow an OE for the same application while providing the necessary functionality. What is a Oxygen Sensor? The Oxygen Sensor monitors the amount of residual oxygen in the exhaust. Before being released into the atmosphere, exhaust gases pass through a catalyst. Because this is where toxic substances in the gases are purified. In order to increase the efficiency of the catalytic converter, the combustion of injected fuel and inhaled atmospheric oxygen must be precisely controlled at the right ratio. Finally, the Engine ECU (computer) uses information provided by the oxygen sensor to detect the difference between the actual air-fuel ratio and the ideal air-fuel ratio to adjust the amount of fuel injection. When should my Oxygen Sensor be replaced? The oxygen sensors are not among the maintenance items that need to be replaced regularly, like oil and air filters, so they typically are replaced only when they fail. Oxygen sensors are a critical component of the fuel and emissions systems because they monitor the amount of oxygen in the exhaust. For that reason they transmit the information to the engine computer. Besides that it adjusts the air-to-fuel ratio accordingly. If an oxygen sensor fails, the engine computer won’t be able to correctly set the air-fuel ratio. Which could also result in lower fuel economy. While consequently raising emissions and damage to other components, such as an overheated catalytic converter. Signs you need an Oxygen Sensor. No vehicle that we’re aware of has a warning light that signals when an oxygen sensor has failed. So as a result you have to rely on other vital signs to alert you when you have a bad oxygen sensor. Such as the check-engine light on the dashboard illuminating and increased fuel usage. Also our service areas include San Bernardino. Because our store is so close we also service Redlands, Colton. Also Riverside, Rialto, Highland. Furthermore Fontana, Hesperia. Likewise Victorville, Mentone. 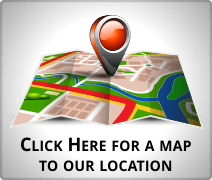 We also service Loma Linda, Crestline, and for that reason Lake Arrowhead. Certainly Grand Terrace because it’s close to Riverside. Likewise Rancho Cucamonga, Palm Springs, Palm Desert, Cathedral City. Furthermore Calimesa, Yucaipa. As a result of our great customers in Hemet we also service Sun City, Menifee, and finally Temecula. Products available for California, New York, and Maine even more areas coming soon.